These kits were designed for KTM 2016-2018 & Husqvarna 2017-2018 new Chassis. This kit will also fit, KTM-2005-2018, and Husqvarna 2014-2018 125-501cc, all 2 & 4 Stroke Models. Included with these new kits is the “POWER SELECT” Hand Lever, which provides Much More Power. 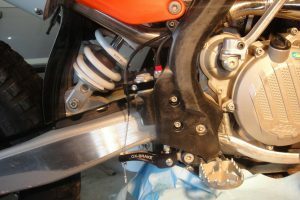 See the Application list for the kit to fit your Motorcycle.